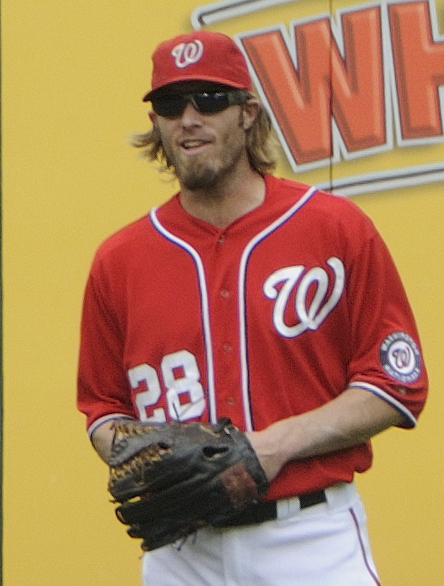 You have to love Jayson Werth’s perseverance. 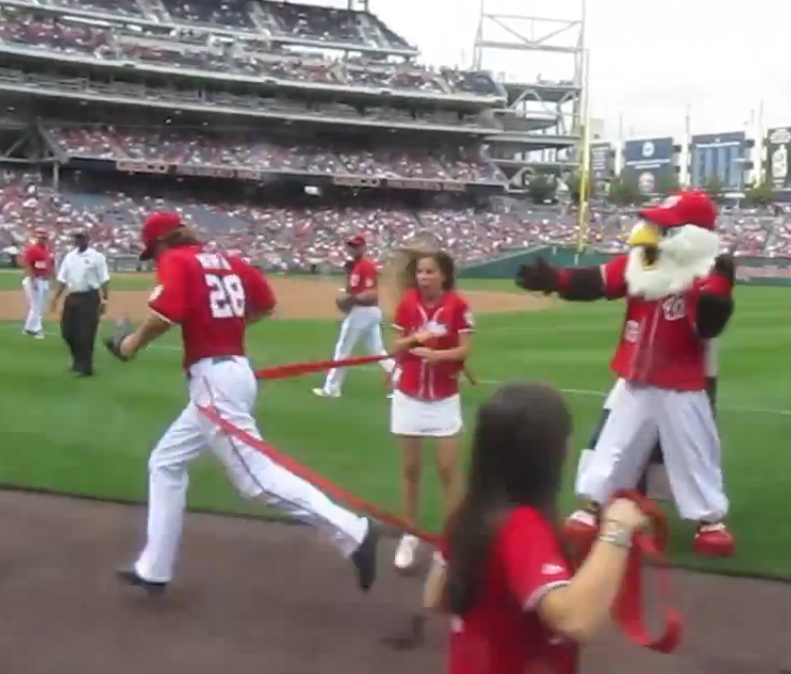 A day after he teamed with the Nationals bullpen in a failed attempt to let Teddy win, the Nationals outfielder enlisted extra help to try it again. 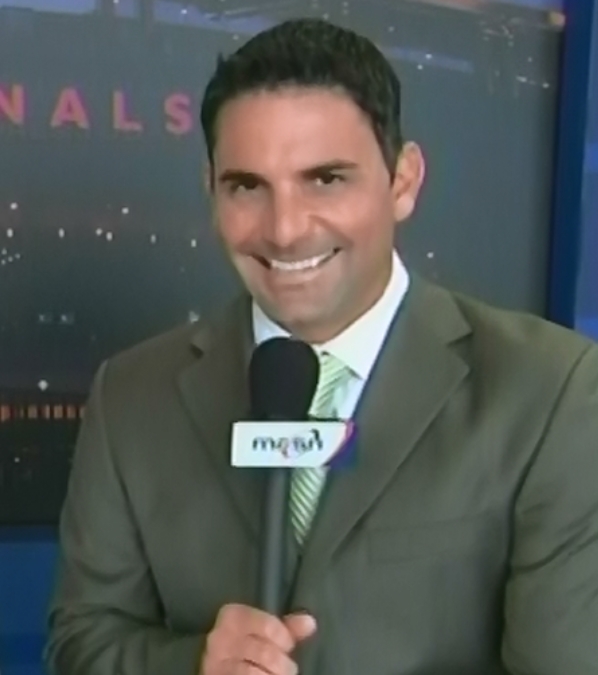 When the race began Saturday at Nationals Park, Werth and center fielder Rick Ankiel were waiting in ambush. 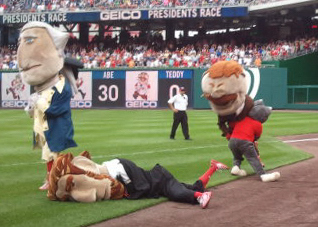 Thomas Jefferson attempted to cut across the outfield once again, but Werth was waiting for him, and wrestled the sage of Monticello to the ground. 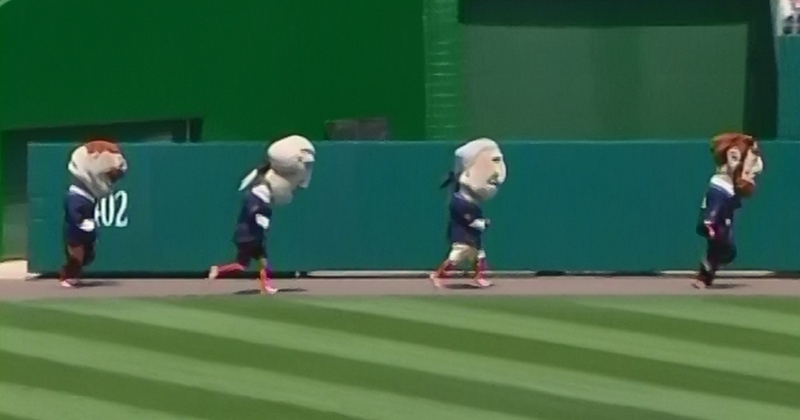 Meanwhile, four bullpen pitchers were intercepting George Washington and Abe Lincoln on the warning track in an attempt to clear the way for Roosevelt; but Teddy instead chose to join the melee, helping to force Abe Lincoln into the corner, where the bullpen pitchers awaited. 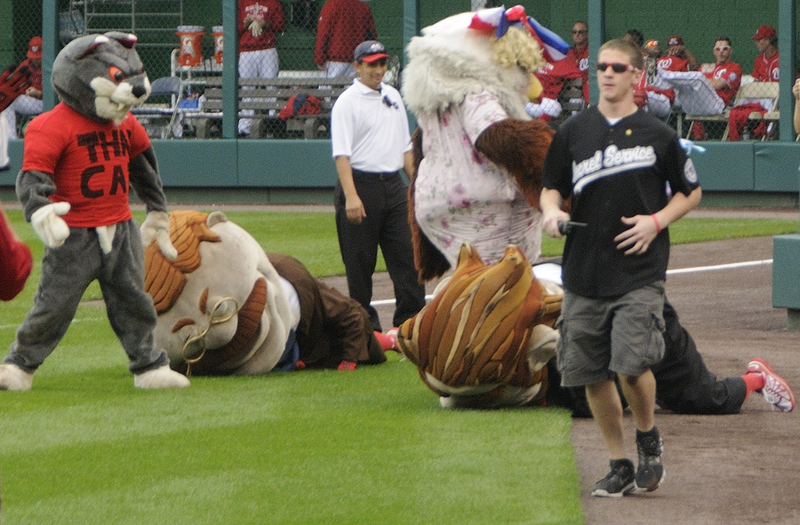 After clearing the way for Roosevelt, Werth could do nothing but watch as #26 ended up face flat on the ground himself. 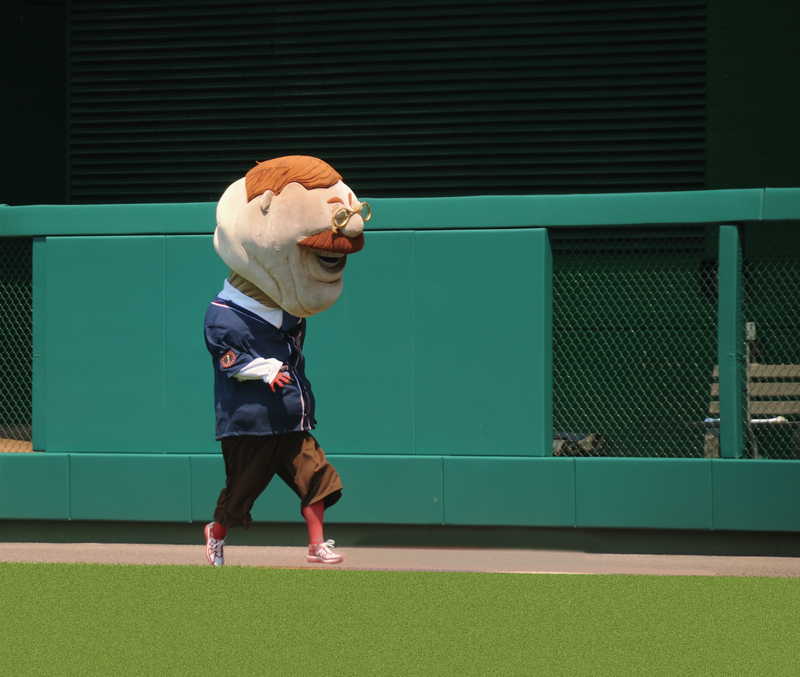 With Teddy on the ground, and every contestant now down the for count, one bullpen pitcher could be seen pounding the outfield wall in frustration. 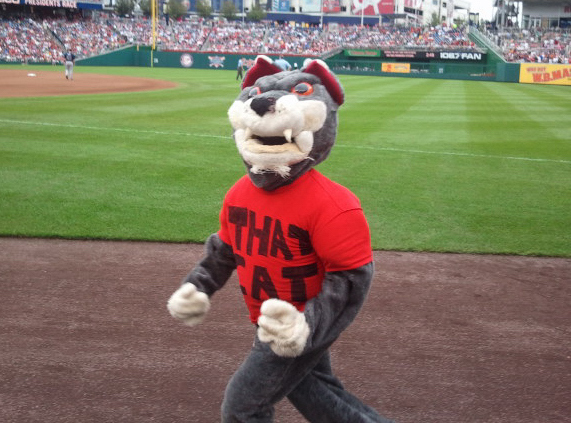 Werth could only watch, and finally turned and crossed the finish line himself, arms outstretched. 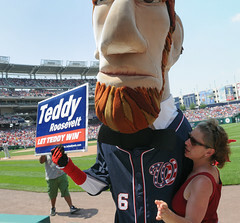 It’s great to see Werth take things into his own hands on behalf of Teddy. Now Teddy just needs to take the ball and make something happen. 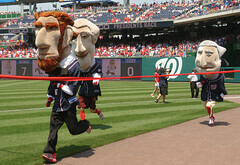 Sunday is Fan Appreciation Day, and marks the last presidents race of the season. If the last two races are any indication, the season finale should be a race to remember. 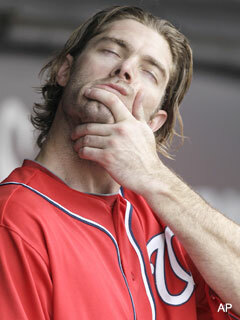 Will Werth give it once last shot? Will Teddy capture win #1? 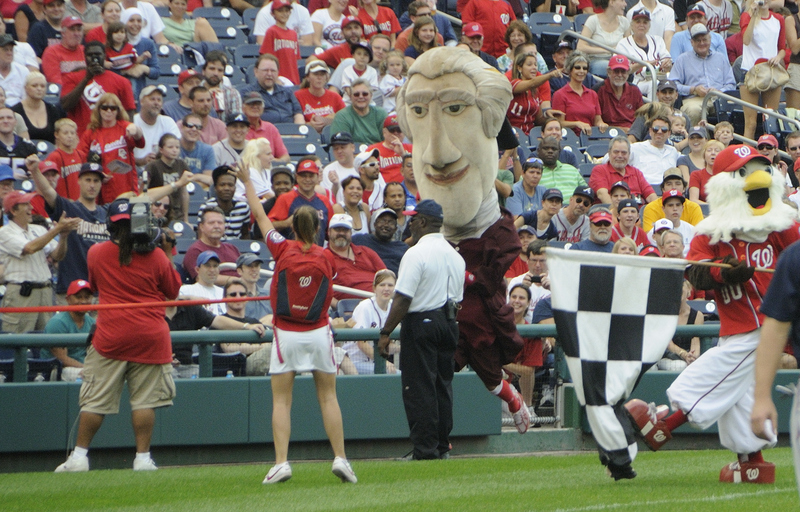 Or will Jefferson catch Abe in the season standings? I suspect it will be another race to remember.